Which sentence contains a misplaced modifier? Identifying misplaced modifiers is tricky! She helped the boy with a rope. Is there a misplaced modifier in the previous sentence? Yes, there is! See if you can identify the other misplaced modifiers in this printable grammar worksheet. This grammar activity for middle school students is great for improving reading and writing skills. While it is ideal for 7th – 9th grade, it can be used where needed. 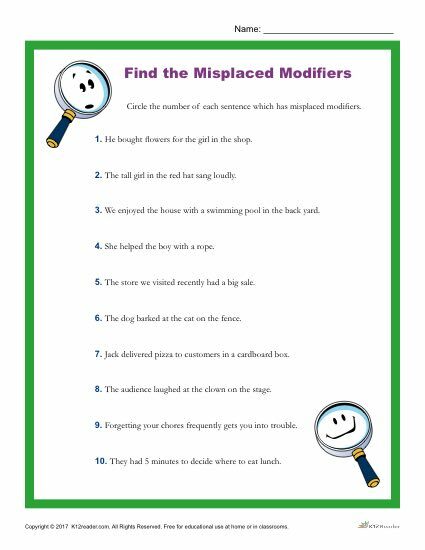 This misplaced modifiers activity is perfect for both parents and teachers to use in the classroom or at home.